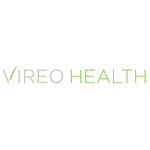 Vivid Research Cooperative is a medical cannabis collective based in Corona, CA. They took third place in the Best Hybrid competition at the 2012 Los Angeles Medical Cannabis Cup. Offering HIPAA Compliant Medical Marijuana Certifications, Physician Screenings, Affordable Acupuncture, Massage, Naturopath & Nutritionist Counsel, Mediation and Meditation as well as Workshops, Retreats, and Spontaneous Community Events. Please send us a message or call us toll free: 855-697-6424! We are located in the heart of Eastown in Grand Rapids at 1505 Lake Dr. S.E. Office: 616-719-0441 24 Hour toll free scheduling: 855-697-6424 (855-MY-SOHAI) Appointments are recommended to insure speedy service, but walk-ins are always welcome! 🙂 Our offices are welcoming with friendly professionals who will make your application and examination process stress free.